BLIND spots caused by snow or rain accumulating on the windshield are ended by this up-and-down wiper that extends the full width of the glass. 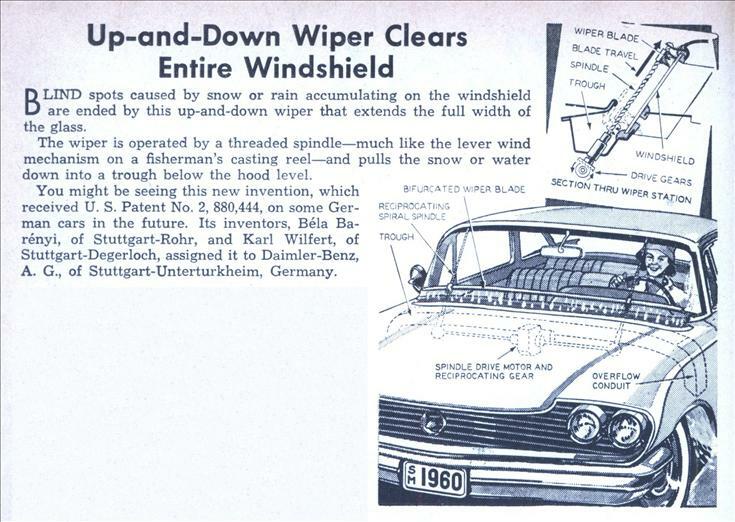 The wiper is operated by a threaded spindle—much like the lever wind mechanism on a fisherman’s casting reel—and pulls the snow or water down into a trough below the hood level. A. G., of Stuttgart-Unterturkheim, Germany. Well that shows that even great minds have sometimes strange ideas! Béla Barényi almost singlehandedly invented the concept of passive safety in automobiles. 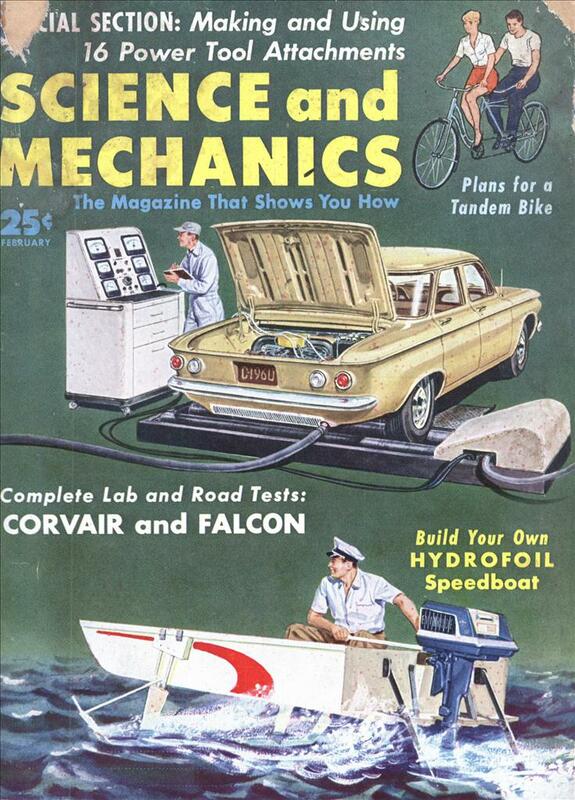 Non-deformable passenger cabin, crumple zones, collapsable steering column: All his inventions. Some 2000 patents alltogether. Including one for a strange windscreenwiper. But at least its bifurcated! I find it hard to believe the leadscrew wouldn’t quickly get stuffed with crud and jam, particularly in freezing weather. Keeping it reasonably lubricated would also be tricky. A cable drive arrangement would seem to me to be superior to this, but not to the usual pivoting wipers. What was adopted on some cars, but particularly trucks and buses, were wipers mounted on an articulated mount. I wonder who invented that.